Synopsis: Ensuring a coordinated public health, laboratory, and medical response to a natural disaster, an accidental release or a deliberate use of a chemical, biological, and radiological (CBR) agent is a high priority for all countries. This publication contains the proceedings of the North Atlantic Treaty Organization (NATO) and Advanced Study Institute (ASI). 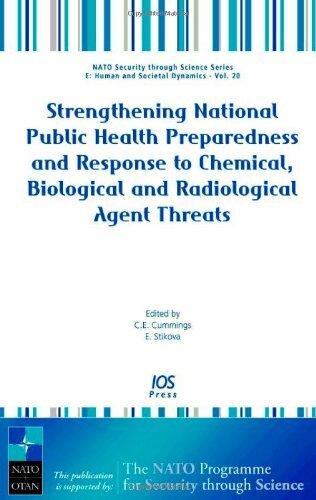 The ASI, and this publication provides NATO and its allies with ways to enhance their national preparedness and response plans to CBR threats.The recommendations should be of interest to clinicians, researchers, and other scientists motivated by special interest in public health preparedness, as well as by national and NATO leaders and policy makers who are positioned to make a difference. Public health response to emergencies requires extensive, coordinated, considered efforts of the combined military and civilian public health resources of all NATO nations and NATO Partner nations.